NiCK'S SANCTUARY: Conservative or Liberal? You’ll notice that as of yet on this blog I have not made a big thing of the current divisive issues being fought over within the Church of England and the wider Anglican Church (principally the role of women and gay priests). oh no... wait a minute, that’s Babylon 5. All joking aside, I designed this site to be a place of peace: a relatively benign entity in cyberspace; a place where people could come and share their feelings and thoughts, without harm of persecution. When you chance upon these pages you come to a place that honours the ancient traditional rite of asylum. I may disagree with you, but I will never bite you for what you say. I have left my political views equally ambiguous on my Facebook profile as well. If we must invoke concepts of conservatism or liberalism to describe our position, we had better gain a proper understanding of what they are, or we are all going to become unstuck. I’m going to use the ancient art of sword-making as an analogy. Through the ages, the design of swords have changed and evolved to suit particular needs. Some civilizations favoured a curved blade with a soft edge which was excellent for cutting, but it wasn’t very hardy and if you tried to repeatedly block your opponent’s attacks with the blade, it would soon deteriorate and break. The reverse was true of other civilizations who favoured a hard edge and a straight blade. The weapon was extremely hardy and good for defensive parrying, but it was not as efficient on the attack as it lacked a cutting angle. Then, the Japanese made a major breakthrough -the sword of the samurai. This weapon was refined and folded many times over and it also had another unique feature... a blade that was soft at the front and hard at the back. It took the best of both concepts. 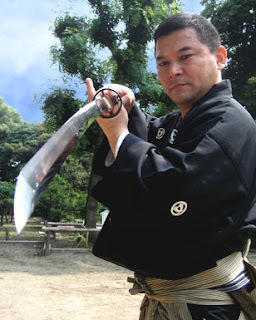 Today, if you shoot a bullet directly at the cutting edge of a samurai sword held in a clamp, the bullet will split in two leaving the blade with the slightest of nicks, ready to be used again. I believe the same applies to the principles of conservatism and liberalism. If you dedicate your personal doctrine solely to conservatism, you won’t get very far. Defensively you’ll have a strong moral foundation that can withstand the fiercest assault. However, if you try to evangelise using the hard edge of conservatism, people who deep inside themselves already feel lost or condemned will feel awful and become defeatist... they will walk away from the gospel feeling judged. Jesus was rightly critical of the Pharisees for this very reason. On the other hand, those who are confident of their own moral compass will shut their ears to any positive message you may have and stir up nothing but trouble... denouncing you as self righteous. Similarly, if we choose to use liberalism as our sole doctrine, our message may well be appealing and crowd pleasing, but it will fail to be challenging. There is a very famous saying... God loves us as we are but refuses to leave us that way. If we broaden the boundaries of what is acceptable in God’s site, without his consent... how will people be convicted? How will they be able to sense their personal hunger and thirst for righteousness? I’ve always favoured an alternate view... but it is not centrist, or at least I do not consider it to be, Rather than mix conservatism or liberalism together, I prefer to take the best from both camps. Righteousness might be our protection, but it is love that is the soft cutting edge, it is love that is our offensive weapon... and what a weapon. I prefer to try and live my own personal life along the lines of a fairly conservative outlook (and I am by no means a success at this). With regard to others, I try to use every opportunity to demonstrate God’s love and grace in a liberal way ( I am by no means a great success at this either). I think I’m right in saying that Jesus always demonstrated his love, always fulfilled a need, always forgave... before telling any person not to sin any more. And this is my point. If we aren’t liberally loving people (irrespective of what we might think of what they do), we are shutting the door to the Kingdom of Heaven in their face. Likewise if we aren’t at least trying to live our own lives in a way that aims to be pleasing to God... we fail as Christ’s ambassadors to let our light shine before men. We should preach the good news, we should preach salvation... and demonstrate the fruits and benefits of righteousness by living in the Spirit... but there’s a catch there isn’t there? It is far, far easier to tell someone how to live... than it is to demonstrate through your own life; which is precisely why Jesus taught us the importance of removing logs from our own eyes before removing the specks from others. Our priority should be introducing people to God - the Holy Spirit is a far better force for conviction than you or I. Sure, people will always need strong pastorship... but we need to make sure they have a relationship that warrants pastorship before we dare encumber them with attitudes and principles that we know are impossible to live by without the grace of God and the power of the Holy Spirit. I think that’s my attitude to faith and evangelism. We don’t boss people about and forcibly lead them where they will not go by choice, nor do we compromise on what we believe God lays on our hearts in terms of righteousness and lag behind. We owe people our honesty and we owe them God’s love. We need to have the assertiveness of Joshua that says you can go your own way, but I’m going to serve God... and then we love them regardless of who they are, where they’ve been, or what our own prejudices tell us about them. We don’t just need to love people; we need to genuinely love them with abundance. I think one of the best summaries I have ever heard for living with a Christian attitude, is a phrase uttered by the American preacher Tony Campolo who has stated that he believes we should be as conservative as God’s Law and as liberal as God’s love. I could go on with regard to some of the issues raised at the moment, my feelings towards what I regard as inadequate descriptions by the media of where various groups stand... or even a cautionary tale about what happens when people from any particular camp start imposing their own will on God’s church... but I’ve said quite enough and do not wish to detract from anything that has gone before.